 I Will Stand International – Rescue, restore, equip, and empower vulnerable women and children around the world! Take a Stand with us against violence and poverty. Our Model: 100% of your donations will be used to directly help vulnerable women and children around the world! Sponsor a child for $38 a month and provide food, shelter, clothing, and medical care. Empower women through our trade school. Teach them a skill. Help them succeed for $25 a month or $375 for their complete training. 100% of your donation goes directly to helping the one you sponsor. Short Term Mission trips impact the lives you touch and provide the opportunity to change the course of your life. Choose to go. See what God will do. But we’re not done yet. We need your help. Here’s more ways you can get involved. WSI began with a voice of hope. A story of restoration and redemption. A calling to empower and serve. Meet our team. Hear the message. Invite us to speak. Give the gift that keeps on giving. When you empower women to become self sufficient you transform an entire community. Donate a farm animal. Join one of our local street ministry teams in the Houston area or Dallas as we meet the tangible needs of the people in the streets while sharing the hope and love of Christ.